Years ago, I ran into a friend eating lunch at a restaurant. He looked as sad as I had ever seen him. “What’s wrong?” I asked. “I just lived out my last sexual fantasy,” he replied. The sense of loss and uncertainty about what was next clearly visible on his face. I’m not sure why I shared that story except I was so stunned by the incident when it happened and still find it rather amusing. I too have just had a dream actualized although the story is nowhere near as titillating. (That word is so much more fun to say than to write!) Rather, my first book is about to be published! So, it’s a dream I am happy about rather than feeling empty because all fantasies have been realized. When I was in college more years ago than I can easily remember, I knew I wanted to write, and publish a book. Something non-academic, although I had no idea whether it would be fiction or non-fiction. Over the years, I have written a lot, and and had a few things published. Mostly, it has been non-fiction — business letters, proposals, academic papers, legal briefs. (OK, so maybe it wasn’t all non-fiction!) I did not consider myself to be a writer. That was my wife, Deloris —an award-winning journalist and creative writer. Yet, somewhere in the back of my mind, buried under years of other fantasies and unachieved dreams, a book remained to be written and published. I just had no idea what it would be about. A little over nine years ago, Deloris suffered a stroke and I became her caregiver. For several years, I sent emails to an ever-extending distribution list (I didn’t know about blogs,) relating her progress, or lack there of, and eventually discussing my emotional responses. Part of me was observing what was going on about me while the other part was participating in the action. At night I would sit at my computer and write about it, both as a way to stay in touch with others and as a means of integrating what was happening. The writing helped me make sense of it all. Friends encouraged me to put the emails together into a book, saying they could be a great help to others, especially men, who found themselves in similar situations. Now, Deloris has progressed to where I have time to pursue endeavors in addition to my caregiving and I have written the book. While the motivational circumstances were certainly not what I wanted, I feel lucky to have been able to transform the pain and challenges into something positive. 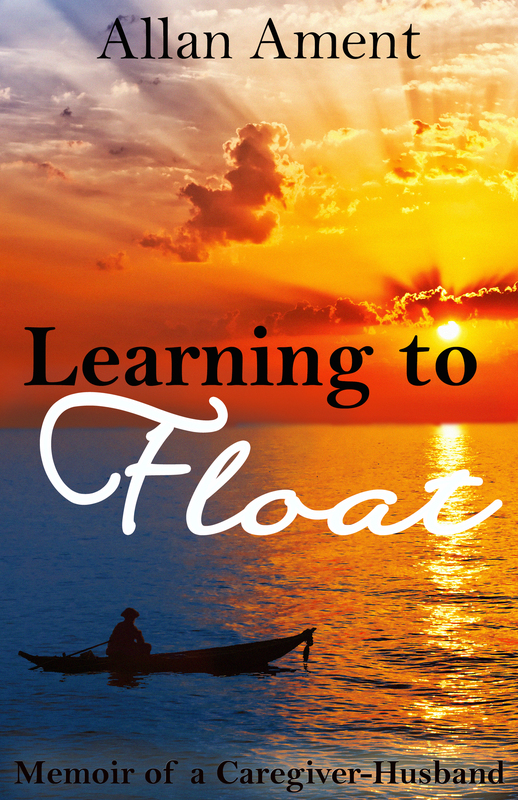 Publication of Learning to Float: Memoir of a Caregiver-Husband is imminent. I am incredibly excited and proud of my achievement, in spite of how long it took to realize this fantasy (and how I would willingly give up the book to reverse the situation which gave rise to it.) I also wonder if anyone other than family and a few friends will read it or find it of any value or quality. I know I can’t spend time worrying about that; all I can do is whatever I can to generate interest in it and awareness of stroke. And, given that November is National Caregiver Month, it seems appropriate I do so. In the coming weeks and months, I will excerpt parts of the book in this blog and, maybe, share some stories that didn’t make it through the final edit. I welcome comments, critiques, the sharing of your stories, and suggestions for how to learn to float through difficult, life-changing situations. And, of course, I will let you know when and where you can buy your own copy. In the meantime, enjoy the cover. I tweeted you out with some hashtags too!